en anglais, ça peut t'aider? Your step-by-step walkthrough to securing your privacy. 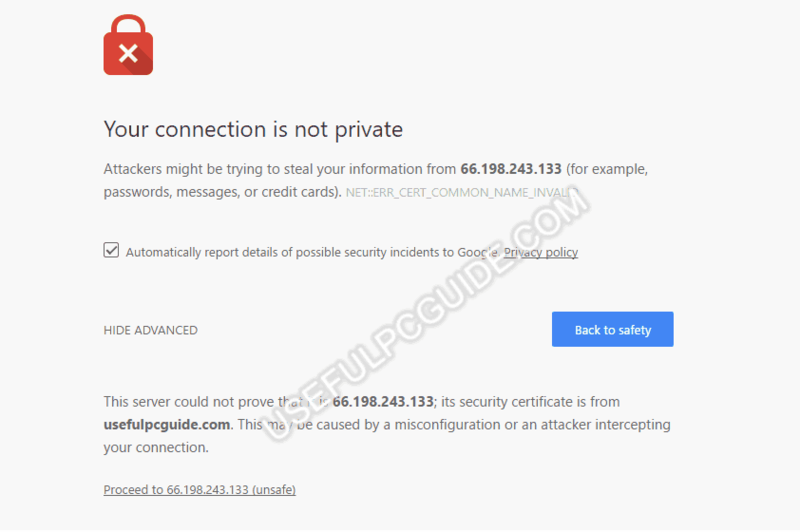 Learn how to fix the “Your Connection is Not Private” error message in Google Chrome. Ok merci Christophe pas très à l'aise avec l'anglais technique mais je regarde ça ! I am not able to translate this page permanently into Australian English. Sometimes the translate button appears , most of the times it does not. Can someone please help me fix this problem permanently ? even i face this issue. i guess this is a google bug. these errors typically originate from two things: the first is a client-side issue (your browser, computer, OS), and the second is that there is an actual problem with the certificate on the website (expired, wrong domain, not trusted by the organization). 5.run an SSL server test.